Since President Donald Trump officially authorised the release of House Intelligence Committee Chair Devin Nunes’s controversial memo on the Russia investigation on February 2, a host of other memos have seized Washington’s and the public’s attention. In response to the Nunes memo, which alleges misconduct on the part of the Justice Department and FBI, Democrats on the House Intelligence Committee put forward a memo of their own, which is expected to be released Friday. Nunes has also said he plans to release five more as part of an independent investigation he’s been conducting since last year into alleged corruption within the government. The Nunes memo claims investigators improperly used the unverified Trump-Russia dossier to get a surveillance warrant against Carter Page. The Nunes memo states that the FBI and DOJ used the infamous Trump-Russia dossier as the basis for seeking an initial surveillance warrant targeting former Trump campaign foreign-policy adviser Carter Page. Though much of the information in the dossier remains uncorroborated, both the FBI and the Senate Intelligence Committee are using it as a “roadmap” in their Russia investigations. Its production was funded mainly by the Democratic Party and a law firm tied to former 2016 Democratic nominee Hillary Clinton. The memo claims investigators never made this connection clear to the court granting the so-called FISA warrant. Additionally, the memo states that a September 2016 Yahoo News article was used as corroborating evidence for the Trump-Russia dossier in the FBI and DOJ’s warrant application. Nunes writes that this was improper because the article had used the dossier’s author as a source and thus did not amount to an independent corroboration. Finally, the memo acknowledges that the FBI’s Russia investigation was not triggered by the dossier, but by a conversation former campaign adviser George Papadopoulos had with an Australian diplomat in 2016. While Republicans say the document is clear evidence of partisan bias at the DOJ and the FBI, Democrats say it contains significant omissions and inaccuracies that mischaracterize the intelligence community’s work. House Democrats’ response to Nunes likely fills gaps and adds context to the initial memo. 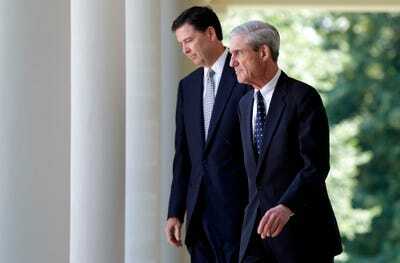 Win McNamee/GettyJames Comey and Robert Mueller walk together outside the White House. The House Intelligence Committee voted on February 5 to unanimously to approve the release of a Democratic rebuttal memo authored by ranking member Adam Schiff. The Democratic memo focuses mainly on pushing back against the Nunes memo’s characterization of former FBI deputy director Andrew McCabe’s testimony before the committee last year, and its claim that the dossier was the sole basis for the Page FISA application, two sources on the House Intelligence Committee told Business Insider. It will also dispute Republican claims that the DOJ and FBI concealed critical information about the dossier’s funding from the Foreign Intelligence Surveillance Court (FISC) when submitting the Page FISA application. Moreover, it will shed light on the FBI’s “pre-existing focus” on Page that was underway long before the DOJ applied for the warrant,a source told Business Insider. A new memo by Sen. Chuck Grassley backs up some of Nunes’s claims and tries to discredit the author of the Trump-Russia dossier. 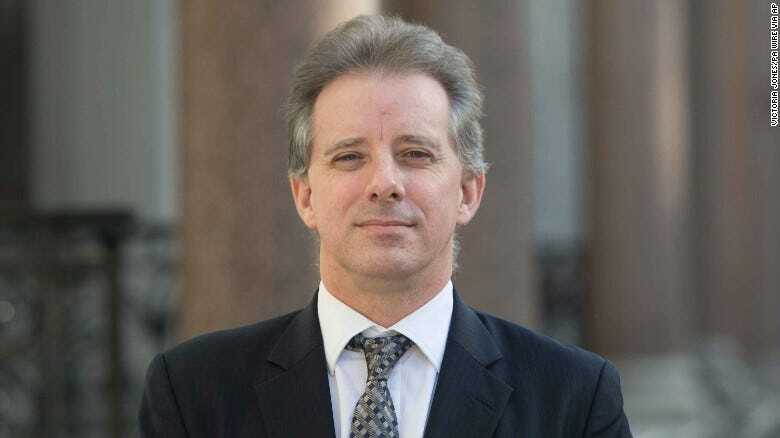 ScreenshotChristopher Steele, the author of the Trump Russia dossier. On February 6, Sen. Chuck Grassley, the Chair of the Senate Judiciary Committee, released the declassified version of a January letter in which he and fellow committee member, Sen. Lindsey Graham, referred Steele to the DOJ for criminal charges stemming from his contacts with the media. While the letter seems to confirm some of the claims made in Nunes’s memo about the centrality of the Trump-Russia dossier to the FISC warrant application, it undercuts two key allegations made in it as well. Whereas the Nunes memo states that the court was unaware that the memo was politically produced, Grassley’s letter says investigators did inform the court of that fact, although they did not specifically disclose the Democratic Party and the Clinton campaign’s involvement. In addition, Grassley’s letter contradicts Nunes’s allegation that a September 2016 Yahoo News article was wrongfully presented as corroborating evidence for the Trump-Russia dossier, and writes that the FBI did not argue the article could be used as supporting evidence for the dossier. The revelations implies the court approved the Page warrant based on information outside of what was in the dossier. Nunes’s 5 additional memos purportedly show misconduct at the State Department and implicate two Clinton operatives. Nunes is now gearing up to enter the next stage of his independent investigation into alleged corruption at the FBI. That stage will involve the release of another memo that focuses on purported abuses at the Department of State under former President Barack Obama. It will also focus on a second Trump-Russia dossier compiled by Cody Shearer, a former political activist and longtime ally of the Clintons, according to a Republican familiar with the matter. The memo will additionally draw attention to Sidney Blumenthal, a journalist and political aide who is close to the Clintons. There is no evidence that Blumenthal was involved in the creation or distribution of the Shearer memo. Shearer gave his notes to Obama State Department official Jonathan Winer, who then passed it along to Steele, The Atlantic reported. Steele in turn handed the document to the FBI in October 2016 and said that some of its claims aligned with information he had obtained from his own sources. Nunes is preparing to release several more memos in the coming weeks, but it’s unclear what they will focus on.